ABC Floor Care has over 30 years of experience in Floor Restoration. 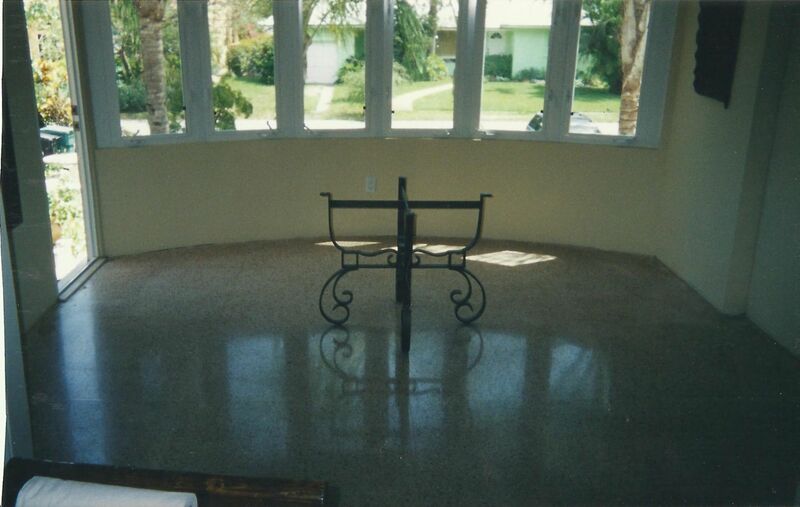 Marble and terrazzo cleaning and restoration..Granquartz certified...Amsan stone care certified..City and guilds floor cleaning and service..
Miami,	Fort Lauderdale,	Pompano Beach,	Hollywood,	West Palm Beach,	Boca Raton,	Lake Worth,	Boynton Beach,	Miami Beach,	Delray Beach	and other cities within 100 miles of Fort Lauderdale.,	Jupiter,	Deerfield Beach,	Palm Beach Gardens,	Hallandale and North Miami Beach	. Company i was working for,changed work place employment to independent contractor and took off from there. To save money you must look for value for your hard earned dollar,how long will the floor hold up with professional service,ask these questions when getting an estimate..
Terrazzo Restoration..Marble Polishing..Strip and wax V.C.T...Cleaning of Tile and grout..Mexican Tile polishing and sealing.. Throughout the year we average a few projects a month, and small hourly projects as well,it all depends on how's the economy..
Several restoration jobs on pre second world war homes,tile and carpet removed and Terrazzo Floors Restored..
Fixr has validated the email provided by ABC Floor Care. Fixr has reviewed the content provided by ABC Floor Care to match our community guidelines. ABC Floor Care has been rated with 38 experience points based on Fixr's rating system.